Since the purchase of any NEW Bucket Casting Clamps does not exist, we have to circulate the ones in the field. 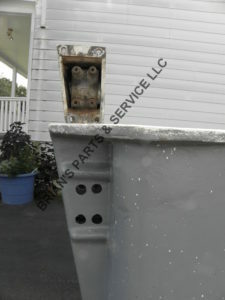 If any Fiberglass is still attached a $100 charge will apply and deducted from the customers $1000 refundable retainer. I normally have one or more New Buckets in stock at all times but you must call first, as first come first serve. If you want to avoid the retainer then ship the casting core to me and the day I receive your casting I will release the New Bucket from stock. 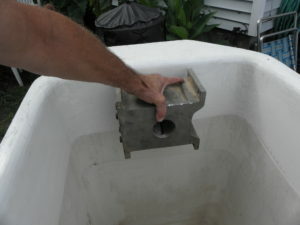 ( Please Note I do not stock NEW Buckets in Connecticut) Casting MUST be returned within 2 weeks (14 days) of the receipt of the New bucket or a late retainer fee of $50 per week will be deducted for your Retainer deposit as a refund.